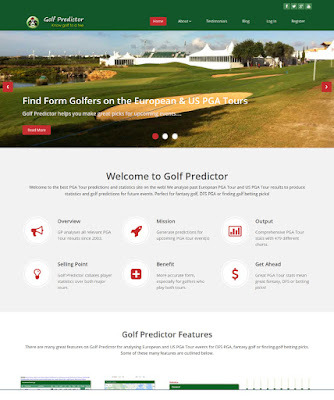 Andres Romero (ranked 147th by Golf Predictor) won the BMW International Open on the European PGA Tour. The 36 year old Argentinian won his second tour title with a birdie burst on the back nine to edge out Sergio Garcia, Thomas Detry and Richard Bland by a single shot. Ten years after his only other victory which was also in Germany, Romero relied on a sponsor's invite after falling to 837th in the world rankings. Indeed, he is the lowest ranked golfer ever to win on Golf Predictor (147) and he did it with an impressive blemish free final round 65 (-7). On a tightly packed leaderboard, Romero posted his score and after Garcia missed a tiddler on sixteen and Bland bogeyed seventeen, both needed an eagle on the last to tie. It wasn't to be and a grateful Romero returned unexpectedly to the winner's circle. Garcia was our top ranked player and we had ten of the top twenty plus ties (10/25). 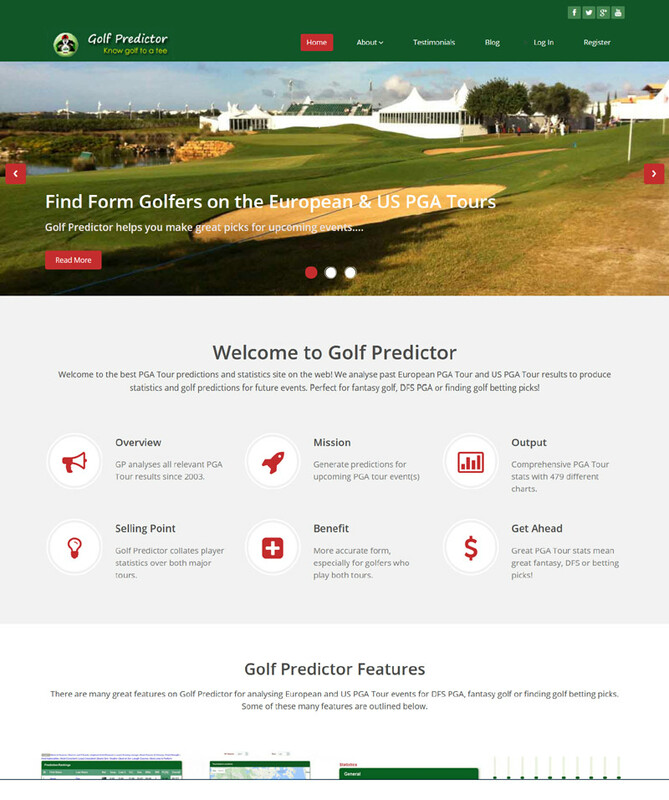 Jordan Spieth (ranked 3rd by Golf Predictor) won the Travelers Championship on the US PGA Tour. The 23 year old American became the second youngest after Tiger Woods to register ten wins on the PGA Tour season in his first appearance at TPC River Highlands. Despite a good start, Spieth didn't play well on Sunday and was lucky not to find the water three times on the closing nine holes. He was caught by Daniel Berger, who played well on Sunday to come from five shots back to force a play-off. However, Spieth was not to be denied and he holed out spectacularly from the bunker on the first extra hole to get over the line. Our top ranked player, Rory McIlroy, finished strongly for tied 17th, despite swapping putters several times during the week! Overall, we had eleven of the top seventeen plus ties (11/25) in total. The predictions and statistics for this week, the US Open (European/US PGA Tour) are now available on Golf Predictor. The excitement is mounting for the second major of the season on the relatively new Erin Hills layout in Wisconsin. All eyes will be on the USGA, who will be keen not to make it a hat-trick of calamities after the Chambers Bay and the DJ moving ball debacles! The long par 72 layout will feature wide fairways, fast greens and penal rough, if golfers veer too far off-line (as demonstrated by Kevin Na!). Defending champion, Dustin Johnson, will be on a high after becoming a father for the second time this week. Let's hope there are no controversial rulings for him this year! Renato Paratore (ranked 85th by Golf Predictor) won the Nordea Masters on the European PGA Tour. The 20 year old Italian captured his first tour title with a gutsy one shot victory in Sweden. Paratore took the lead on the back nine and finished with three gutsy pars to edge defending champion Matthew Fitzpatrick and third round leader Chris Wood. The latter had a chance to win or make a play-off, but a wild drive on the last into the woods put an end to his chances. Our top ranked player, Alex Noren, finished in tied 15th and we had nine of the top fifteen plus ties (9/20). 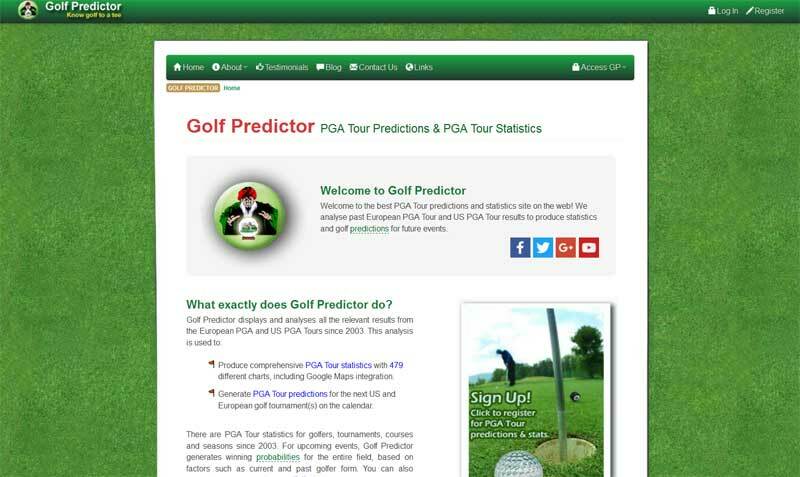 Jason Dufner (ranked 19th by Golf Predictor) won the Memorial Tournament pres. by Nationwide on the US PGA Tour. The 40 year old American recovered from a poor moving day to take his fifth tour title. After opening up with a tournament record thirty six hole total (130), Dufner squandered his five shot halfway lead with a third round 77 to fall four behind. However, despite a suspect putting stroke on the front nine on Sunday, Dufner steadied the ship and finished with a great par save in front of host Jack Nicklaus to win by three shots. Our top ranked player, Dustin Johnson, surprisingly missed the cut and we had seven of the top eighteen plus ties (7/21) in this event.